What is most impressive in the recent world events is not so much that the authors of "The Limits to Growth" may have predicted with incredible accuracy in 1972 the start of the decline of the world's economic system, evidenced today by the financial crisis. After all, they presented several scenarios with different results. That the "base case" scenario, the one they deemed the most likely on the basis of the available data, may turn out to be right is impressive, yes, but it may have been also a bit of luck. It is not even so impressive that "The Limits to Growth" was criticized, demonized and ridiculed in every possible way before being consigned to the dustbin of the wrong scientific theories. After all, in 1972 it was difficult to believe that it could be possible to foresee a crisis that was to occur 40 years in the future. No, what is really impressive is that in the newspapers, in TV, or in the speeches of those who can take decisions, no one is asking what is happening and why. See also my book on "Revisiting the Limits to Growth"
"No, what is really impressive is that in the newspapers, in TV, or in the speeches of those who can take decisions, no one is asking what is happening and why." In the U.S., any issue, event, or situation must be seen to have an effect in the next election cycle and be such as to be able to generate large funding in order to attract the support of the political class who must, always and forever, be thinking of how to fund their next campaign. With corporations having the Constitutional free speech rights of persons, this means catering to a group who is even more constrained to immediate financial impact, i.e., corporations beholden to provide ever increasing quarter by quarter results. These same corporations also own the news media and are thus subject to the same constraints. A new paradigm for the evaluation of corporate performance is a necessity, as is a strictly enforced requirement to pay for externalities. The leadership will have to be taken, I'm afraid, outside of the U.S. where things are getting the opposite of better. King of the road, when I was young I have had an "illumination": I suddenly understood that in the current economic system, a sort of "selection of the worse" is at the base of the leadership in the corporate world (and, in part, in the political world). I mean that if a corporate CEO would begin to be really sensible to the environmental/climate/resource issues, so sacrificing profits in the effort to change the corporation practices in a more sustainable direction, it would be immediately substituted by share holders, with a less "delicate" manager. In this way the maximum we can expect from corporate, is a thin greenwashing, but nothing substantial. How to answer to this perverted effect? The only way would be politic: to give more competitiveness to sustainable companies, with heavy taxes on the use, and misuse, of "commons" like air, water, fertile soil, biodiversity, etc. So company respecting environment and climate, would be more competitive with the "rough" ones. But in the present global market, such moves should be co-ordinated on an international level, and, given the current weakness of politic in front of finance and economic, to hope for such measures, it is the same that to believe in fairy tales. I fear that until a undeniable climatic catastrophe will not strike an important country, like USA, China or UE, no serious moves will be taken to move the world on a more sustainable path. We can only hope that will be not too late, then. We are living in the most hypocritical or schizophrenic time possible for sure. Your illuminated insight is spot on. In the corporate world, he (or she) who is most ruthless, climbs to the top while stepping on ladder rungs made of the dead bodies of opponents/competitors who got in the way. In the political world, he (or she) who is most ruthless as to truth, climbs to the top while stepping on ladder rungs made of the dead bodies of gullible voters who were stupid enough to fall for your audacious hopey changie thing. The system does indeed self-select. "In the U.S., any issue, event, or situation must be seen to have an effect in the next election cycle"
The "election cycle" is American Idol on steroids. Doesn't matter who gets in, that's just entertainment to keep the mass complicit by creating an illusion of choice. what politics is for, to teach you the cloth." "After all, in 1972 it was difficult to believe that it could be possible to foresee a crisis that was to occur 40 years in the future." I beg to differ. The question was not believing, or foreseeing a crisis but understanding that growth is suicidal on a non-flat and non-endless planet. The latter is so childishly easy that only the members of the Compact of Business, Politics and the discipline of Economics can fail! The root cause of this crisis is simple; usury. There is a reason it is abhorrent to all enlightened peoples, and now we see why. And I will speak, but in dark speech no more. 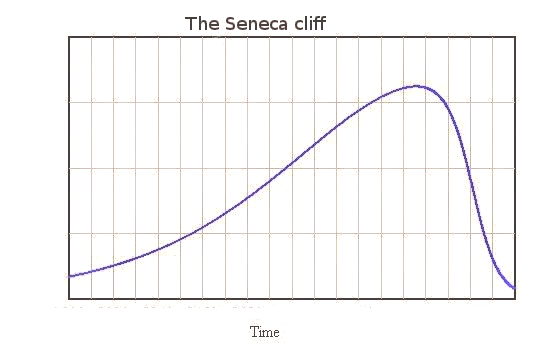 The Seneca Effect: is this what our future looks like? 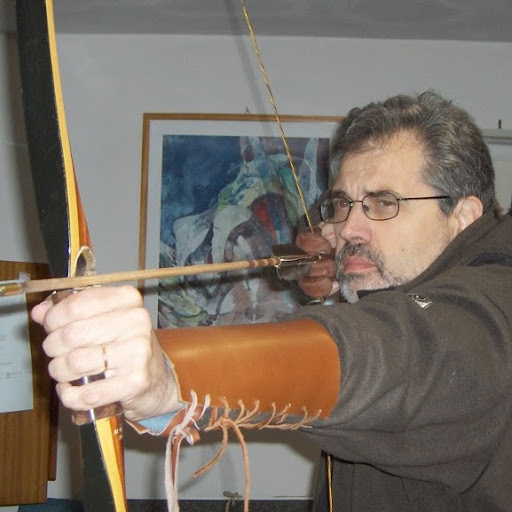 Another blog by Ugo Bardi; it is dedicated to art, myths, literature, and history with a special attention to ancient monsters and deities. I try to publish at least a post every week, typically on Mondays, but additional posts often appear on different days. Comments are moderated: no insults, no hate, no trolls. You may reproduce my posts as you like, citing the source is appreciated!